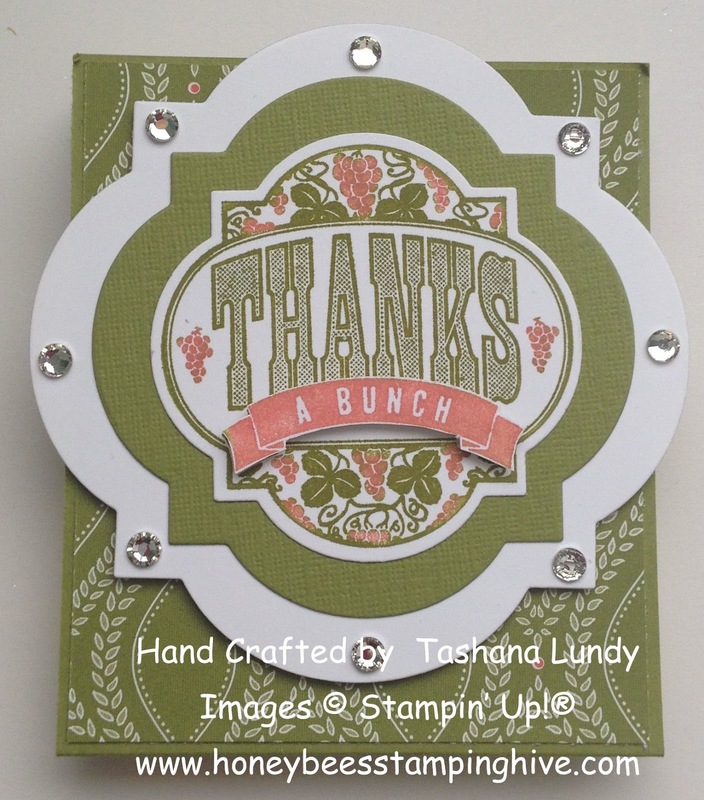 Here is the last teacher appreciation gift that I made for my daughters teacher last year. It is a sticky note holder. I love this stamp set, although it is retired. It is called Friendship Preserves. 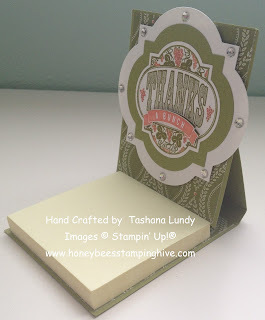 I believe that I seen the the tutorial for this note holder over at dawnsstampingthoughts.net. I really like the color combination that I used, here. All the bling really makes this project stand out. I will continue to share my projects. I would like to hear from you. What type of projects do you like for me to share?